In June 2015, EnviroCom undertook a Public Place Recycling Audit of material received at the 2015 Nambour Show. The purpose of this audit was to determine whether recycling receptacles provided at the Show were being used appropriately. Understanding the recycling behaviour of attendees will assist event mangers to plan for future waste management procedures at this and other events. This assessment was also able to identify what types of contaminant materials were presented. These materials can then be incorporated into vendor agreements to minimise the use of non-recyclable food packaging. Waste management of events on all scales is crucial to ensuring sustainable environmental outcomes. EnviroCom has the expertise to deliver tailored waste management advice to ensure your event can achieve these outcomes through by minimising recycling contamination and maximising resource recovery. Between October 2014 and June 2015, EnviroCom Australia undertook a pilot program to assess and improve recycling practices in Multi-Unit Dwellings within Logan City, Queensland. This study was the first of its kind for Logan City, its aim being to better understand the performance and behaviour of residents accessing shared waste services within Multi-Unit developments. This project effectively mapped the change in residents’ disposal behaviours, through time in response to targeted education programs aimed at reducing recycling contamination and resource loss. As the construction of high density developments continues to rapidly increase nationwide, studies such as this can provide Councils and businesses with valuable insights into the system performance, role of education and policy as well as planning requirements for these shared residential waste service arrangements. Holding an event? Want to avoid garbage, maximise recycling and reduce litter? EnviroCom recently produced a tailored Waste Management Plan (WMP) for a Melbourne Metropolitan Council outdoor event. Although experienced in developing WMPs for schools, offices and property developments, taking this knowledge into the event arena was a new challenge. To ensure the best possible outcomes, the WMP drew from years of practical experience at similar events (where EnviroCom regularly provides bin monitoring, vendor audits and public engagement and education); as well as researching best practice in Victoria and interstate. The WMP covered strategic waste management planning, including contractor and stallholder engagement, bin placement, messaging and signage. The plan encompassed the three stages of the event cycle, with EnviroCom assisting Council at all stages of the event from initial planning and preparation, through vendor engagement, during the event and immediately after. All outcomes of the plan were reported to Council including potential improvements for future events. EnviroCom can review your upcoming Council event and deliver a tailored WMP to suit the specific event and waste minimisation goals. Cleaning Up at Christmas Carols! EnviroCom and Bayside City Council increased the Christmas cheer this year by assisting to the annual Bayside Christmas Carols a Waste Wise event! Following Sustainability Victoria’s Waste Wise Program guidelines, EnviroCom applied litter and waste prevention strategies both during the planning process and through on-the-ground services during the event. A report was then provided to Council outlining the key waste outcomes for the event and potential for improvement in future events. Council’s aim for the 2013 Carols was to minimise litter in the park and maximise recycling on the night. EnviroCom provided strategic guidance around bin placement, signage and messaging ahead of the event and also engaged with food vendors in the lead up and on the evening. A positive outcome was recorded, with the vast majority of vendors supplying only the requested recyclable drink and food containers. An EnviroCom representative was then in attendance during the event, inspecting bins in relation to fullness and resource loss / contamination rates; we also provided and managed an on-site litter crew. Litter at the event was minimal and contamination rates were consistently low across the majority of recycling bins; a marked improvement on previous years events. Additional Waste Wise initiatives included events announcements and big screen reminders regarding correct waste disposal being made throughout the evening. The event program and the Carols song book were also provided in a digital format, undeniably reducing waste creation from the event. 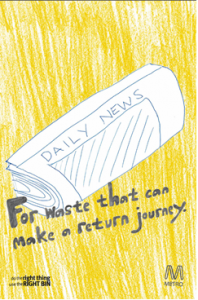 In January 2013, Metro Trains Melbourne (Metro Trains) began an educational Waste & Recycling poster campaign at selected metropolitan Melbourne train stations. EnviroCom was appointed to conduct audits to evaluate the effectiveness of the campaign and to inform future actions. EnviroCom conducted a pre-education audit in October 2012 to establish a baseline. The post-education audit was conducted in April 2013, three months after the implementation of the educational poster campaign. The audits involved a site assessment (station cleanliness, condition of bin infrastructure, number and location of bins), visual litter count and bin inspections (% fullness, % contamination and % resource loss), as well as collection and segregation of recycling and garbage bin contents according to the Australian Waste Database (AWD) categories. From pre- to post-education, there was found to be an increase in the mass of recyclables being presented to the comingled recycling stream and a decrease in the mass of contamination of the recycling stream – both encouraging results! 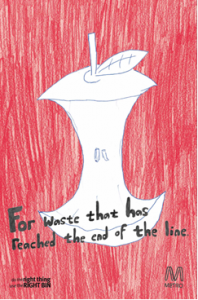 The educational poster campaign has had some success in improving the quality of the recyclables collected from metropolitan Melbourne train stations.